Are Wisconsin Fast Plants Genetically Engineered Plants? Simply stated, Wisconsin Fast Plants are not genetically engineered plants. 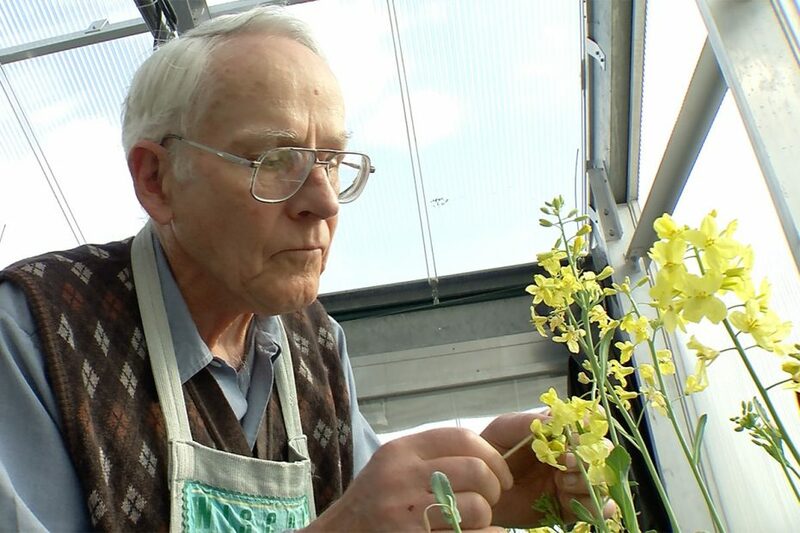 Rather, Fast Plants are the result of over 30 years of ordinary plant breeding that continues, today. This plant breeding began in about 1974, using the same ways of doing things that people have used for at least 10,000 years to tame/control and improve crops for human use (p. 65). In other words, those Brassicas that grew and developed quickly with certain desirable qualities were inter-mated. Dr. Paul Williams, conducted this breeding program, and he discusses that work in this video. Every one of the Wisconsin Fast Plants characterized genetic stocks is the result of selective breeding for desirable traits or phenotypes (also known as artificial selection). No Fast Plants stocks are genetically engineered plants. 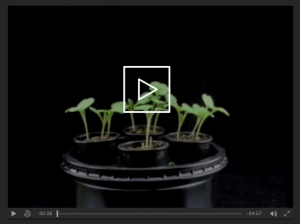 To dive deeper into the question: Are Wisconsin Fast Plants genetically engineered plants? we’ll next define some key terms that are relevant to genetics and selection in plants. Then, we will discuss further the development of Wisconsin Fast Plants. Finally, we’ll share a summary of a 2016 analysis by the National Academy of Science that considered past research and future possibilities for genetically engineered crops. Conventional plant breeding is intentionally identifying, hybridizing, selecting, and propagating plants with desirable traits (qualities) and genes (NAS, 2015). Natural selection is a mechanism of evolution by which differences among individuals contribute to differences in their survival and ability to reproduce. Therefore, natural selection produces change in the traits that continue to exist and dominate in a population over time. Artificial selection is a human mediated process of selecting and breeding plants for targeted traits. The selected traits may or may not be beneficial to the plant population or have economic value. Genetic engineering happens when traits that cannot be bred into a plant through conventional plant-breeding methods are controlled by humans to become part of the plant’s genetic make-up. This can involve changing the native genes in a plant to improve qualities or moving genes from one species to a different species (NAS, 2015). Genetic modification is a term often used to mean the same thing as genetic engineering. However, the term genetically modified sometimes used refers to any changes made to the genetic make-up of an organism, including conventional plant breeding (NAS, 2015). Transgenic is a term sometimes used to describe an organism in which genetic material from another species has transferred naturally through events that were not manipulated by humans. 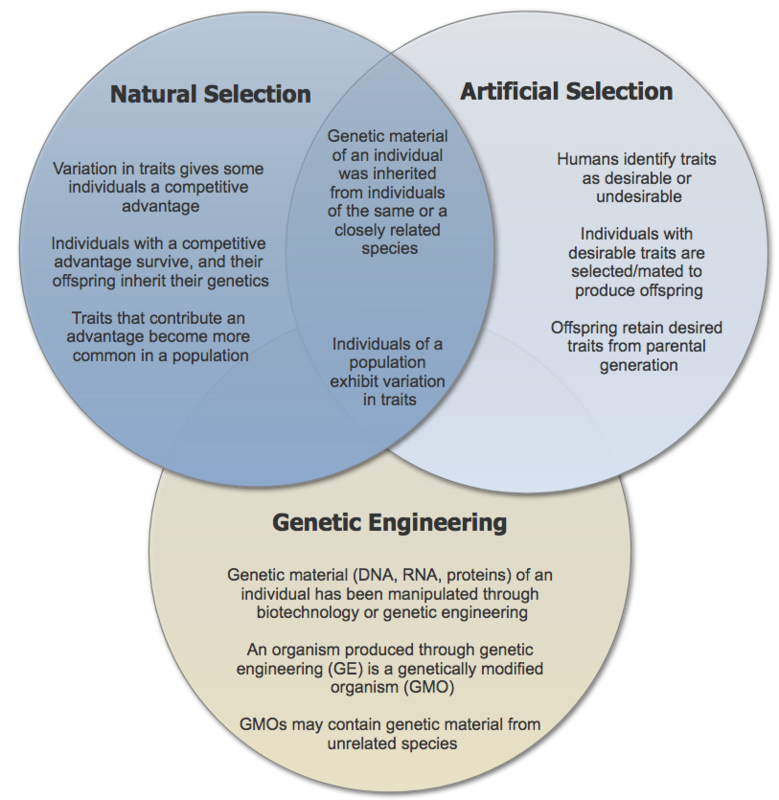 How do genetically engineered plants (GE) compare with genetically modified organisms (GMO)? Plants we bred for favorable qualities share some similarities with genetically engineered plants. The term genetically modified is often used to mean the same as genetically engineered. However, the committee kept its terminology consistent with previous National Research Council reports (NRC, 2004, 2010); genetically modified is more general and refers to the full array of methods that are used to alter the genetic composition of an organism, including conventional plant breeding. Therefore, GMOs include organisms that were changed through genetic engineering. 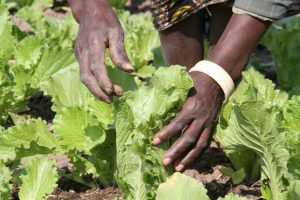 However, some definitions of genetic modification (GM) also include organisms that are produced through conventional plant breeding. This makes sense, given that organisms such as plants that have changed through conventional plant breeding do have genetic material that is changed (through selection for desirable traits). 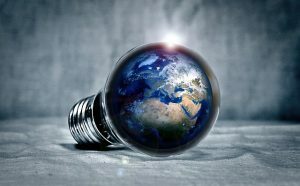 For clarity, the National Academy of Sciences, Engineering, and Medicine use “genetically engineered”, GE, to refer to organisms whose genetic material has been altered through biotechnology. We use the same distinction. The following Venn diagram may be a helpful way to look at the relationships among these definitions and their processes. Genetically engineered plants share some similarities with plant populations that changed through natural and artificial selection. 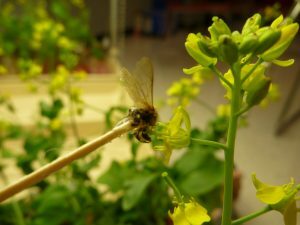 Wisconsin Fast Plants are typically inter-mated by transferring pollen between plants with a bee stick. They are not genetically engineered plants. Wisconsin Fast Plants were developed through conventional plant breeding. That is, plants that displayed the desirable qualities were selected and cross-pollinated to produce populations with the desired characteristics. Through many generations of this artificial selection, populations were developed. Conventional breeding processes produced what we now call Wisconsin Fast Plants. The artificial selection used to develop Wisconsin Fast Plants resulted in changes to the genetic material. Populations of Fast Plants stocks have greater frequency of genes that regulate favorable qualities. Thus, in this sense, Fast Plants have had their genome modified through the artificial selection, but they are not genetically engineered plants. The breeding processes used to develop Fast Plants are the same as those used to develop most of the vegetables we eat and other crops. No biotechnology processes or transgenics were used to develop Fast Plants. Therefore, Fast Plants are not considered to be genetically engineered plants. Though Fast Plants are not genetically engineered, there is considerable interest in GM/GE technology. These practices continue to be researched, and new methods are being developed every day. There is insufficient evidence to support claims that GMOs are dangerous for the environment or human and animal health. Introduction of GE crops has had little influence on the increase of agricultural productivity. This technology is changing rapidly and may take us many different places. As these techniques continue to develop in the future, it will be important to evaluate specific crops for safety in consumption and efficacy in production. We encourage those who are interested to explore this topic on their own to grow greater understanding. See this link http://nas-sites.org/ge-crops/ to view the full National Academy of Sciences report on genetically engineered crops.